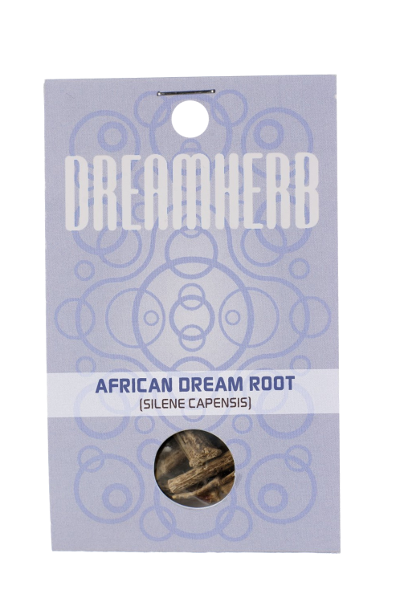 The dried root of Silene Capensis, is known as African Dream Root, stimulates dreams. Eating this dreamherb or drinking a brew from the root induce lucid dreams. The South African Xhosa people have been using Silene Capensis for centuries, in rituals to predict the future and communicate with their ancestors. Contains 5 grams of dried African Dream Root (Silene Capensis). In sealed plastic packaging. African Dream Root is known as an eneirogen. In other words, it’s a dream-stimulating substance. The dried roots of Silene Capensis are said to enhance the clarity of dreams, dream recall, and also to induce lucid dreaming - dreams in which your consciousness is ‘awake’ and you can control what happens. African Dream Root has been subject of little scientific research. Not much is known about its active agents. The dream-stimulating properties of this plant are often ascribed to the high saponin content in the roots, but there is little pharmacological proof to support this claim. There are several ways to consume Silene Capensis, in order to have the root stimulate your dreams. 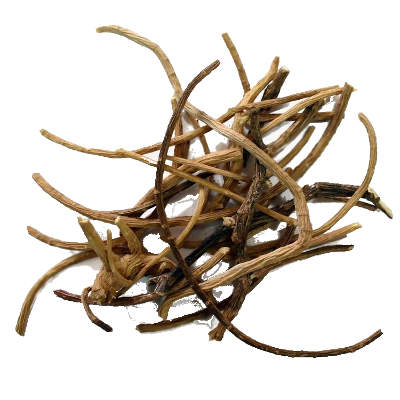 The easiest method is to chew and eat the dried Silene Capensis roots. The roots are fairly tough and taste somewhat like liquorice. Eat on an empty stomach, before breakfast. One twig each morning suffices. If the root is too hard to chew, you could try to soften it by seeping it in water overnight. The South-African Xhosa people traditionally eat the foam that results from mixing Silene Capensis with water. To do this, first crush and grind the roots with a mortar and pestle, until a fine powder remains. Since the roots are quite tough, this may take a while, but it’s crucial for the powder to be as fine as possible. Next, soak the powder in water for half a day or longer. The recommended ratio of powder to water is 300 mg to one glass of water. After soaking, activate the saponins by either stirring the water vigorously or (if you have a lid) shaking the glass forcefully. A thick layer of foam should start to form on top of the water. Eat the foam and continue to shake for more, until your stomach starts to feel bloated. Find a good tutorial here. You can also use the powder to brew a tea. One teaspoon of finely ground Silene Capensis root should suffice for one cup of hot water. It’s best to consume Silene Capensis in the morning, on an empty stomach, about an hour before breakfast. This will ensure the effects to be strongest. During the day, you should notice no effects, but the ensuing night should bring intense dreams and improved dream recall than usual. African Dream Root or Silene Capensis is part of the carnation family, Caryophyllaceae. The flower is originally found on the eastern cape of South Africa. Silene Capensis’ aromatic flowers only open at night. Their scent is reminiscent of a blend of cloves, jasmin, and banana. For the South African Xhosa people, Silene Capensis is a sacred plant. The Xhosa call African Dream Root undlela ziimhlophe, which literally translated means ‘white paths’. According to the Xhosa, Silene Capensis allows you to walk paths to your ancestors. With the roots of Silene Capensis, you can collect their wisdom and ask them questions about the future. The roots of Silene Capensis are generally used during special ceremonies, like initiation rituals for young shamans. In the traditional healing arts of South African peoples, Silene Capensis is an important plant for sangoma doctors. Along with plants like Lesoko and Umagupu, Silene Capensis is used by these sangoma to make Ubulawu. Ubulawu is a medicine that helps people to interpret their dreams and communicate with their ancestors. Ubulawu is also used for divination and prophecy.